Willimantic Records: Don't forget to save your receipt. 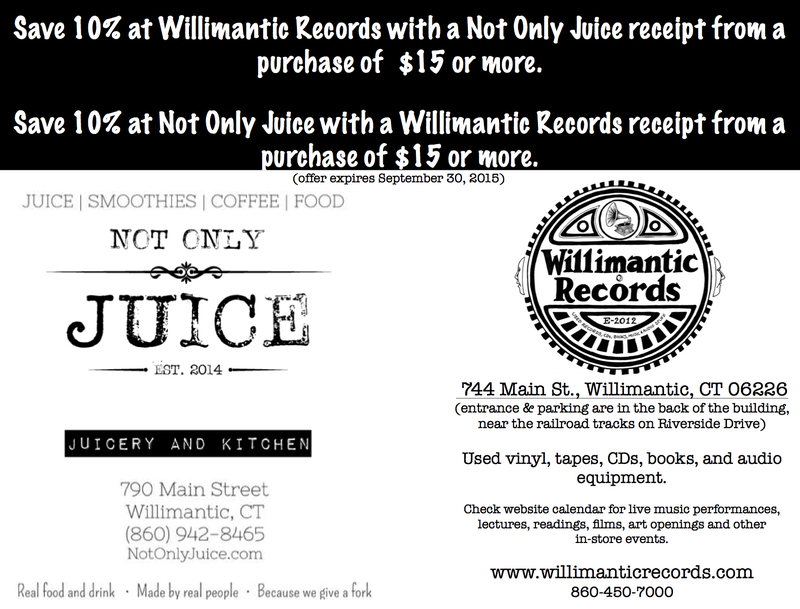 Save 10% at Willimantic Records with a Not Only Juice receipt from a purchase of $15 or more. 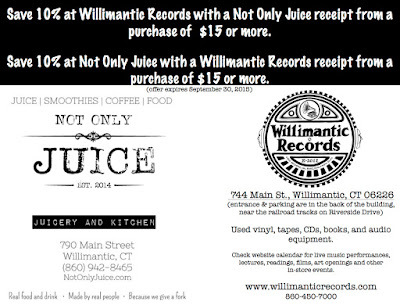 Save 10% at Not Only Juice with a Willimantic Records receipt from a purchase of $15 or more. Offer expires September 30, 2015.